I am a Research Fellow within the School of Applied Social Science at the University of Stirling. Elite theory - Understanding who governs institutions and the implications of their power. My interests are in non-corporate elites, such as the directors of quangos. Social mobility - Elite theory developes ideas of how the advantaged maintain their position through their practices. My interest is in examining the reverse of this, understanding the relationship between the masses and higher social positions, as well as understanding if the socially disadvantaged reproduce their own social positioning akin to elites and examining why this should occur. 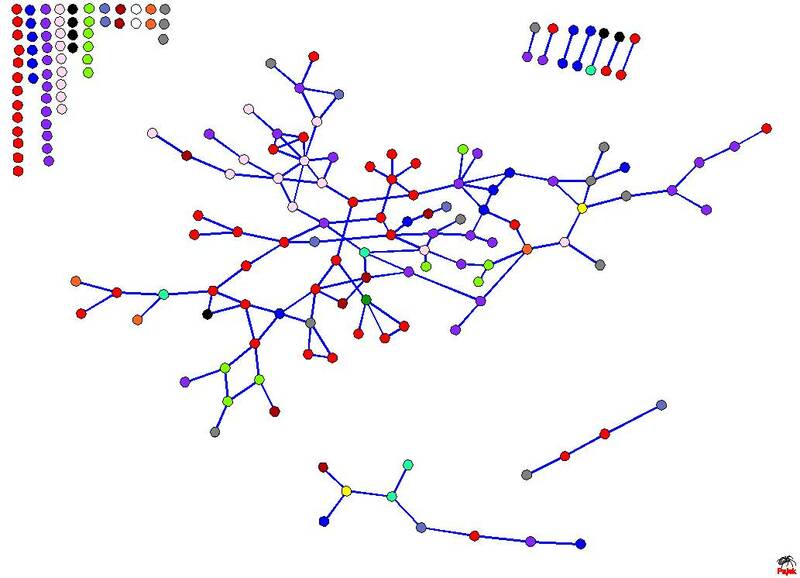 This research has developed strong knowledge and awareness of Social Network Analysis (SNA) and Quangos. SNA is my preferred methodology, although I am increasingly utilising more traditionally quantitative skills. This is an ESRC funded project (RES-062-23-2497) examining social interactions by occupational positions. It merges together two existing methodologies. Social Interaction Distance (SID) can explore occupational stratification, producing measures such as CAMSIS (Cambridge Social Interaction and Stratfication) scales which assign numerical scores to job titles which enable quantitative analysis of the impact of occupational position on a multitude of social factors. 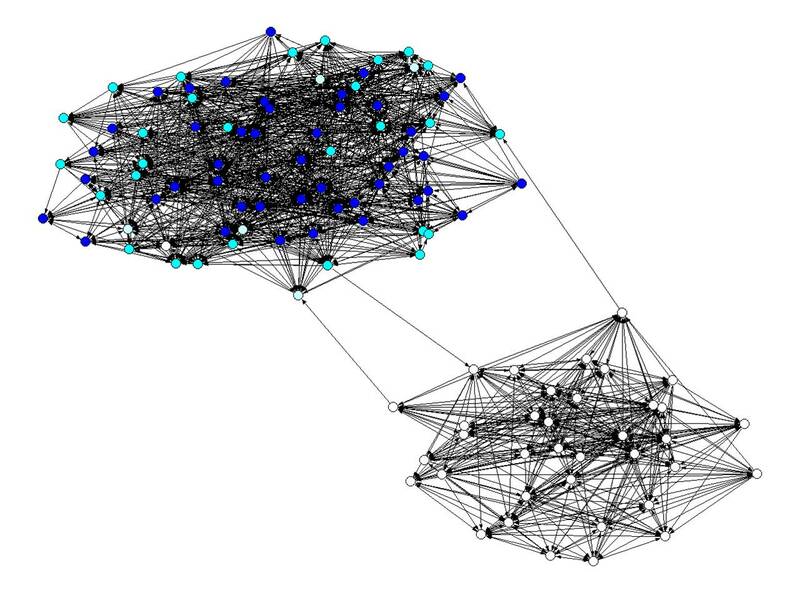 Social Network Analysis (SNA) can examine the interaction patterns between members of different occupations to understand more thoroughly the structure of how relationships develop. Funded by the ESRC Together, these methodologies can create a measure of the occupational stratification within a society, with a score assigned to each job title, using social interaction patterns. They can then analysis the underlying structure which produces such scores to advance our knowledge of how occupational stratification develops. My PhD study examined the board members of 187 UK quangos. Quangos are extra-governmental agencies, performing roles which have a governmental function, but remain free from party politics. These quangocrats are independent of government interference, self-select fellow members and, therefore, allow opportunities for a self-serving elite to position themselves at the centre of these boards. My thesis built upon arguments from the existing literature which claimed there is opportunity for elite rule and a democratic deficit leading to an unelected, uninformed elite ruling public bodies. My thesis argued the directors have experise in multi-dimensional forms of governance knowledge and brought differing levels of expertise to boards. It was shown that corporate ties were under-represented compared to what the literature predicted, with quangocrats apparently having a braod portfolio of interests which includes public governance rather than being tied to one sector. Two papers have been published thus far from this data. 'The End of the English Cultural Elite? ', co-authored with Andrew Miles and Mike Savage, examined changes to the governors of cultural agencies. The paper argues that the social circles from which cultural elites are recruited has widen since the 1960's, but is widening from the same centre and circles rather than altering the bases from where quangocrats are recruited. 'Academic Influence Amongst the UK Public Elite' examined the positioning of academics on quango boards. It was shown that the number of academics on public boards has decreased since the 1960's, but they can still be found in large numbers on the most prestigious and centralised bodies. It appears that quangos who wish to appoint elites onto their boards prioritise representation from an academic, which enables university professionals to control to excerise great power and influence. This paper was nominated for the 2011 Sage Prize for Innovation and/or Excellence. It received media coverage in Times Higher Education. Following completion of the PhD, this research formed the basis for an ESRC Postdoctoral Fellowship. Papers were presented at conferences in the USA, Greece, Switzerland and the UK. Three further papers are currently undergoing the writing and review process from this data. I have interests in both elites and social mobility so, unsurprisingly, have interests in how people become elites. This is an area I wish to study in more detail in future. I have operationalised an occupational coding scheme which enables people to be identified as an elite. This study is currently being reviewed for publication. I am passionate about social network analysis and have a solid understanding of the methodology. I am particularly motivated to incorporate SNA techniques within new areas and find ways to develop new utilisation of network tools. The SONOCS project, mentioned above, is part of this interest, applying new techniques to the matrices commonly used in occupational research. I'm currently working on another project which generates social networks from the British Household Panel Survey, identifying strong and weak ties. Two publications in this area are currently being prepared. I believe there is much further opportunity to exploit SNA techniques from data where the linkage is yet to be identified and believe this is an area I will be heavily involved in throughout my career.